While Manitoba was declared a province in 1870, the Manitoba Penitentiary and Asylum, now Stony Mountain Penitentiary was established in 1871. The penitentiary is present throughout the history of Manitoba. It was built by the Hudson’s Bay Company and was originally located in Lower Fort Garry. The penitentiary incarcerated many significant historical figures such as Poundmaker and Big Bear, who participated in the 1885 Northwest Rebellion, as well as several leaders of the 1919 Winnipeg General Strike. Library and Archives Canada – Winnipeg houses a collection of over two hundred records pertaining to Stony Mountain Penitentiary dating back to 1871. Among these are library records, medical records, records of class attendance, inmate admittance and histories, and administrative letters and diaries. 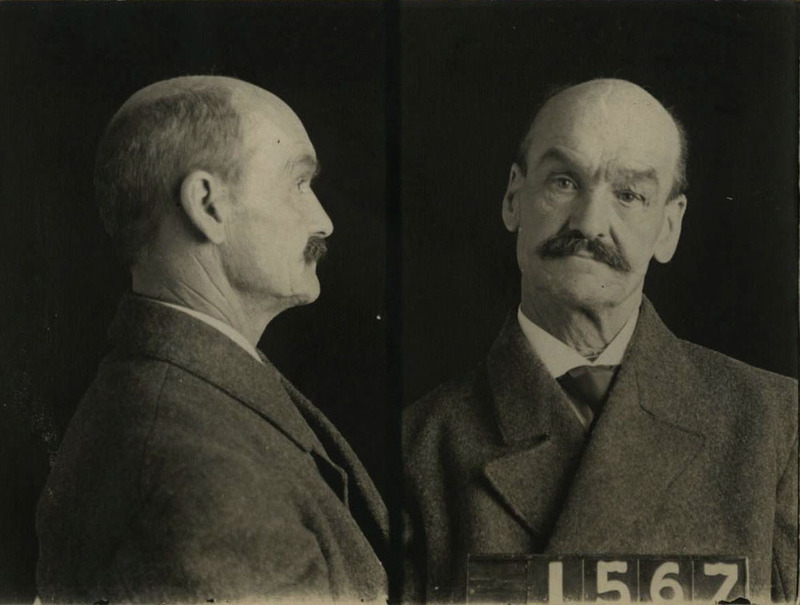 These records, while partly restricted, shed light on the circumstances surrounding those within the correctional system from the late nineteenth century until the mid-twentieth century. The medical records list the afflictions of prisoners, as well as the prescribed remedies. Some of the diseases have a dated sound to them, like Scrofula (a kind of tuberculosis) and Dyspepsia (indigestion), and several of the antidotes are equally old school: mustard plasters, cigarettes and alcohol. Library records from the late 1800s list the titles which were available to inmates, providing insight as to what kind of books appealed to criminals around the turn of the last century (thrillers, unsurprisingly, as well as books about military and natural history). Each convict received two blank pages which he could fill with loan receipts. However, many convicts lacked the literacy necessary to partake in the library, and so they enrolled in school. Among the material assigned to inmates taking courses were dictionaries, books on English composition and books on geography. Classes took place nearly every day (save holidays and when the instructor was unavailable) and attendance was recorded in a ledger, with remarks alongside each convict’s checkmarks of attendance. These remarks indicate enormous variety in the competency of those housed at Stony Mountain, as some are recorded as completely illiterate and others as having previously studied algebra. Several inmates are listed as literate only in their native tongues. The collection has several volumes of Conduct and Industry records, journals in which prisoner misbehaviour and the punishments administered were recorded. Among the in-prison offences listed in the Conduct and Industry books were talking whilst bathing and step-dancing in a cell. Some conduct which was obviously unacceptable, for instance being in possession of a knife, received oddly scant punishment, in this case a reprimand. However, one convict, for having left his work station without permission and having talked out of turn, received a punishment of 21 consecutive meals of bread and water taken in his cell with his hands tied to the cell gate. Another, who tried and failed to escape, received the same treatment as well as a literal ball and chain. The highlights of the Stony Mountain Penitentiary records are the inmate histories. They list the name, religion, occupation, marital status, crime, and sentence of inmates. The very few women inmates have their occupation listed as ‘female’. One Jewish Englishman sentenced to life in prison for attempted murder was listed as a cowboy. 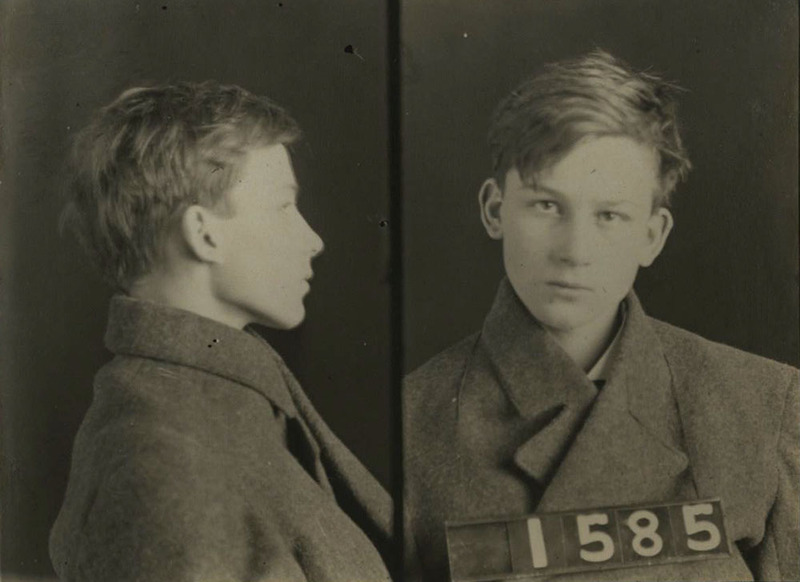 While the inmate histories begin in the 1870s, those dating from the twenties onward provide all the same information, as well as physical descriptions and mug shots. Such images serve as effective reminders of just how young most of these people were at the start of their terms (usually between the age of 18 and 22). These more recent histories accompanied by photographs contain information pertinent to people who may still be living, may have died fewer than twenty years ago, or otherwise were not born more than one-hundred-and-ten years ago, and so much of these records are, for privacy’s sake, restricted to the public. The institution is woven into Manitoba’s history and its records could feasibly be used in the study of corrections and perhaps of prison reform. They are a glowing example of the very neat archival material housed at the Winnipeg branch of Library and Archives Canada. Anne Brazeau is an FSWEP student working at Library and Archives Canada – Winnipeg.